Chirchir just wants to make herself useful like all her other family members. But she drops Mama's water bucket, spills Kogo's tea, and sends Baba's potatoes tumbling down the hill. Isn't there something that Chirchir does best? 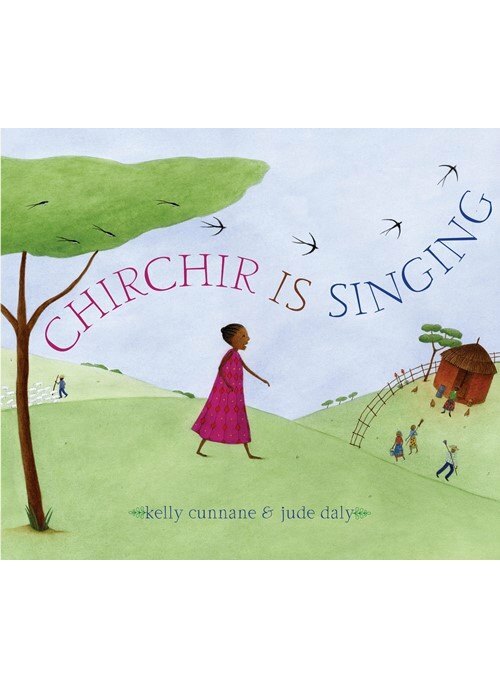 Set in the rolling hills of rural Kenya, this is a wise and lyrical story about belonging from Kelly Cunnane, the author of the Ezra Jack Keats Award winner For You Are a Kenyan Child, accompanied by Jude Daly's beautiful folk art-style illustrations.